Welcome to our Winter 2019 launch. This launch goes back to the basic style of FINCHES’ with the focus being on dainty, delicate necklaces. We loved going back to just necklaces allowing us to be hands on in the design, assembly and making of every piece. All pieces are 14K gold filled or Sterling Silver and are designed and tested for daily wear. Our goal, as always, with FINCHES’ is to provide high quality, locally designed and hand assembled pieces, at a fair price for our customers. We hope you enjoy this new collection as much as we do. 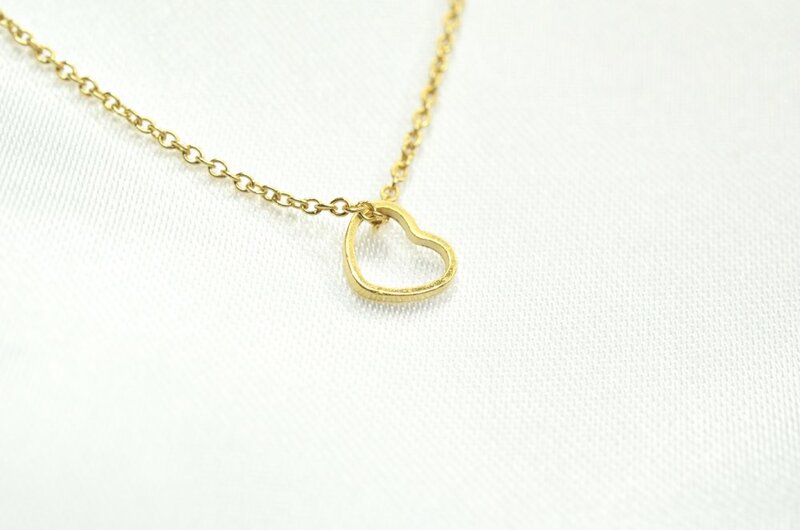 Oversized wishbone pendant (vermeil gold) on thin 14K gold chain. Perfectly layered with other pieces, or worn alone. Our thin, dainty, wishbone makes this statement necklace wearable and perfect for daily use. Hits lower chest (inches long). Gold Fleur features a lightly hammered silhouette flower charm that sits directly on our thin 14K gold chain. The added dimension of the hammered metal makes this a unique piece. gold Fleur sits on the upper chest, and lays flat against your skin. Comfortable for non stop wear, this piece will be a staple. Updated version of our best seller Cherie necklace, this gold heart cutout is 14K gold and placed directly on our thin gold chain. More durable than our previous Cherie with less tarnish on the charm. Hits upper-mid chest. 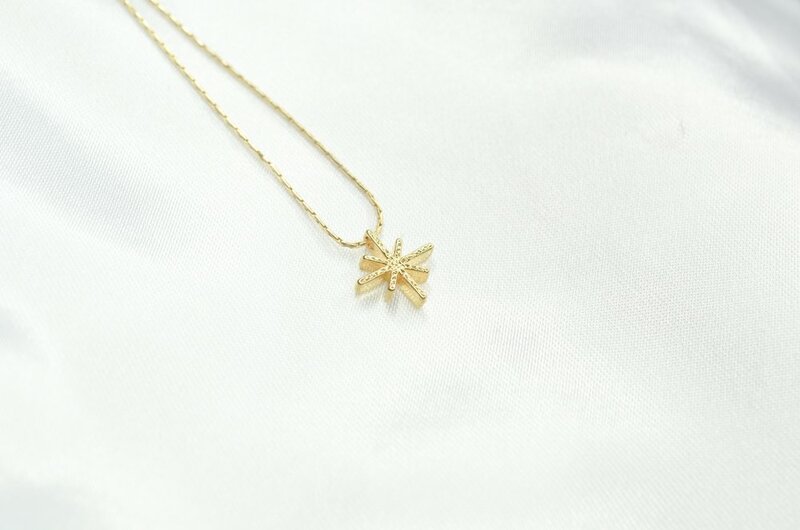 Tiny starburst pendant (vermeil gold) on thin 14K gold chain. Classic, dainty piece that hits mid chest. Charm sparkles with light because of little indents that give shine and dimension. Everyday wear and layers easily with all your favourite pieces. Small 14K gold oval imprinted with small details and the Virgin Mary. Hanging on our medium thick 14k gold snake chain and connected with a jump ring, this piece lays a little beyond mid chest. The delicate size and imprint makes this piece versatile and wearable daily. Detail on both side of charm, allows it to be worn either way. 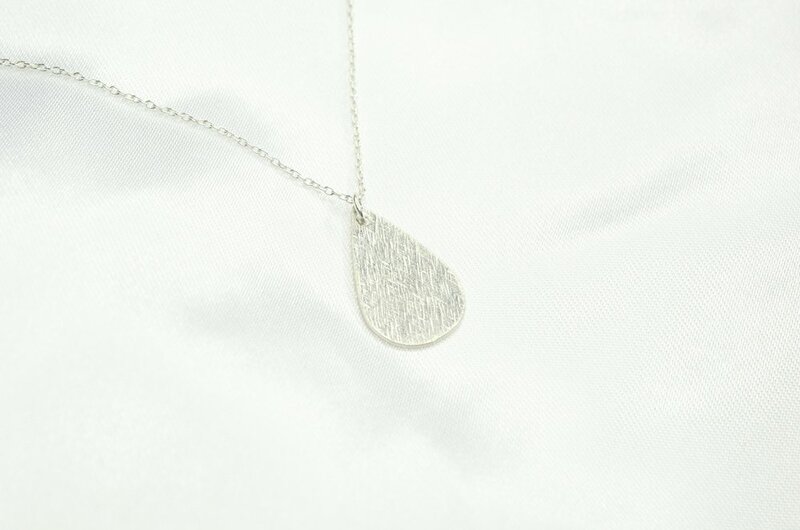 One of our few sterling silver pieces in this new collection. Silver Drop features a matte sterling silver flat charm that hangs off of our (newly launched sterling silver chain with a jump ring. Layer this piece, that hits mid chest, with our JO sterling silver chain. Gold Astrology is a 3D gold plated matte charm placed directly on our our medium thick 14k gold snake chain. Choose your sign from our drop down menu, to customize your piece to your birthdate. Hits mid chest. Only available online. 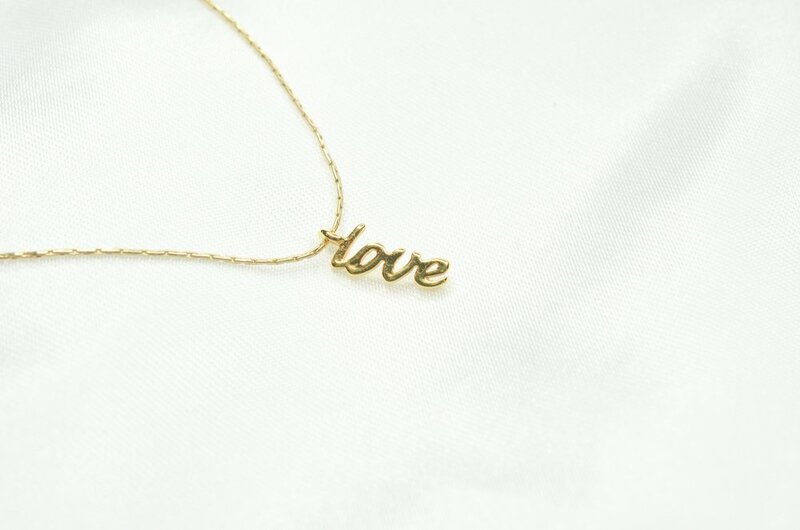 Cursive tiny love dangles vertically from our thin 14K gold chain. This dainty piece makes the perfect gift for any of your loved ones. Timeless and durable, Gold Love layers perfectly with all of our pieces in this collection hitting high up on the chest. Our second sterling silver piece in this collection is our statement item. 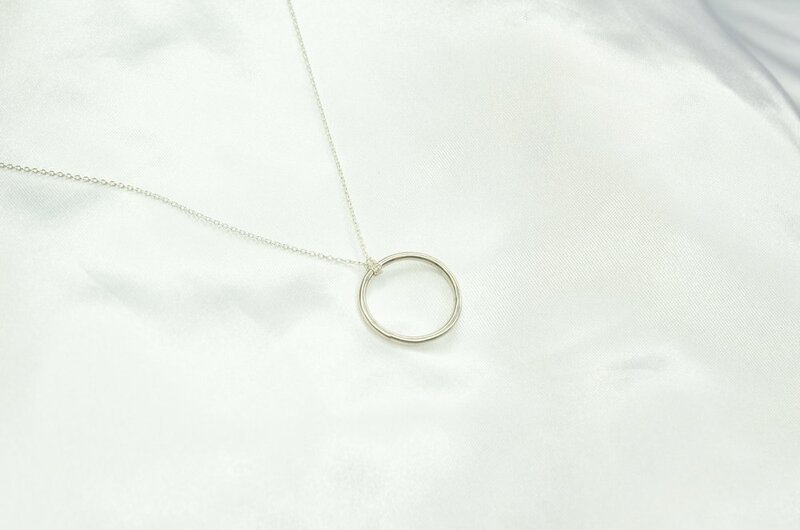 A sterling silver large ring that connects two double layered (newly launched) sterling silver chains. Silver Ring will hang mid chest and pair perfectly with our WEI sterling silver earrings. email at the link below for our wholesale one sheet with pricing quantities and options. We look forward to having our pieces in your store.